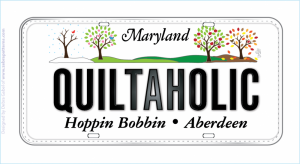 I am so glad to be home from Quilt Market! While we had a great time, saw lots of new and exciting things, bought an incredible amount of new stuff, Mom and I were really worn out! It might have been a "vacation" away from the shop but it definitely wasn't a vacation from work! There are so many vendors that serve our market, it can be overwhelming! So, look for new things coming up in the shop. I am working on new samples and projects and things will be trickling in over the next six months from this "buying spree"! I hope that everyone enjoyed their holiday weekend. I want to say a special thank you to all of those who have served, still serve and to the families that sacrifice as well, so those men and women can serve. Our freedom isn't free and I thank you all for your sacrifices to make and keep it possible. We have received many new patterns, books, projects and fabrics! Come in and see what's new!